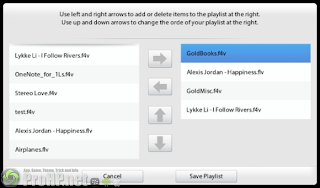 Play your favorite flash videos on your BlackBerry® PlayBook™! The BlackBerry® PlayBook™ can not directly play Flash videos (FLV) saved on the device. 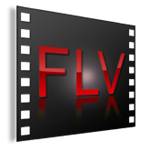 This player allows playing Flash videos (FLV and F4V) stored in the ‘videos’ directory. If you want to get RID OF THE CONTROLS while watching the movie, just use your finger to swipefrom the top panel down to the screen midway and the menu will disappear leaving your with an unobstructed view of the movie. IMPORTANT! : The App needs access to your PlayBook files, please grant access at first start up!! It is impossible to reply to your comments so please use the site contact form or email.